"So what about Marigold?" Sara asked. She and Karl were concerned that Wolf would argue for trying to fix Marigold first, before even looking at their proposal for Metronome. But Karl had an idea. "Maybe we don't say anything about Marigold. Suppose we critique a third idea — not Marigold — that looks at least as good as Wolf's. Then we're not arguing against Marigold, and it's a lot less personal. But it still raises questions about his approach." Sara was impressed. 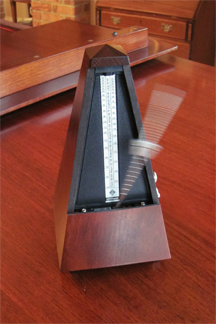 "Yes, and if Metronome is an even better idea, it might be easier to turn the discussion back to Metronome. Interesting…"
Karl and Sara are devising one of the key elements of any proposal — the discussion of alternatives. By demonstrating the advantages of their proposal relative to all plausible alternatives, they effectively turn attention to the approach they're advocating. Here are the key elements of an effective proposal. Some might not apply in your situation, so be selective. What issue does your proposal address? Present the issue from your management's perspective. Stick to one issue — complexity is a demotivator. What was the impact of this issue on a current or recently completed project? Did it affect schedules? Budgets? Relationships? Customers? What's the impact of inaction? Project what will happen if this issue isn't addressed effectively. Estimate budget and schedule effects, showing how the issue affects future or current projects. Estimate the financial costs and lost revenue associated with these factors, going forward quarter by quarter, for three years. Where will the impact be greatest? everything else.are unique. What kinds of projects are most likely to be affected by this issue? Rank project types by impact, and estimate schedule, budget, and revenue consequences. This is especially persuasive if your proposal helps favored projects or customers. Every problem has multiple solutions, and no solution is best all around. Explore the advantages and disadvantages of three alternatives. Include financial consequences. This is the piece that Karl and Sara are working on. Of the alternatives you explored, which one are you proposing and why? Take a position and defend it. Assuming that your proposal is adopted, what's the next doable step? Sketch a plan for implementation, including a schedule with milestones, and a budget. Include a risk plan. Who would work this plan, and how much of their time would be required? Are consultants involved? New hires? How will we know if we succeed? What criteria determine success? Will we need resources to determine success? How much? When? Would you like to see your comments posted here? rbrenfjdZdkCZChKhfDhzner@ChacNaNngwMpNEceFauvoCanyon.comSend me your comments by email, or by Web form. See also Personal, Team, and Organizational Effectiveness, Effective Communication at Work and Managing Your Boss for more related articles. I offer email and telephone coaching at both corporate and individual rates. Contact Rick for details at rbrenuvMgboZuPTNBOlPIner@ChacdgBSWsXsqWLguaBZoCanyon.com or (650) 787-6475, or toll-free in the continental US at (866) 378-5470.